"Tony Furtado is a major musical force without a doubt. He has his black-belt in voice and bottleneck guitar and his banjo playing scares the crap out of me." Very few musicians of any stripe so personify a musical genre as completely as Tony Furtado embodies Americana roots music. Tony is an evocative and soulful singer, a wide-ranging songwriter and a virtuoso multi-instrumentalist adept on banjo, cello-banjo, slide guitar and baritone ukulele who mixes and matches sounds and styles with the flair of a master chef (he's also an accomplished sculptor, but that's another story). All of the music of America is in Tony's music. Relix hit the nail on the head when writing of Tony: "True talent doesn't need categories." In 1990, Tony signed a recording deal with Rounder Records, one of the country's preeminent independent record companies. Beginning with Swamped in 1990, he recorded six critically acclaimed albums for the label, collaborating with such master musicians as Alison Krauss, Jerry Douglas, Tim O'Brien, Stuart Duncan, Kelly Joe Phelps and Mike Marshall. During this period, Tony also performed and recorded with the band Sugarbeat and the Rounder Banjo Extravaganza with Tony Trischka and Tom Adams. Beginning in the late 1990s-influenced by such musical heroes as Ry Cooder, David Lindley and Taj Mahal-Tony added slide guitar, singing and songwriting to his musical toolbox and began leading his own band. He is a tireless road musician who performs in a dizzying variety of formats: solo, in a duo or trio or with his full five-person band. He especially values the opportunities he has had to tour with such legendary musicians as Gregg Allman and with such esteemed slide guitarists as David Lindley, Derek Trucks and Sonny Landreth. Tony has performed throughout the world at top venues and appeared at such prestigious music festivals as the Telluride Bluegrass Festival, High Sierra Music Festival, Jazz Aspen, Kerrville Folk Festival, Strawberry Music Festival, Winnipeg Folk Festival, Sisters Folk Festival, San Jose Jazz Festival and countless others. "I love playing live," he says. "All my energy is focused on the love of playing music and rolling with the moment. It's a give and take from the audience to the stage, and back. And the music that is created is something that otherwise might not occur without that flow." Tony has recorded and produced almost a dozen CDs for various labels such as Dualtone, What Are Records and Funzalo Records. Tony enthusiastically describes his newest CD, The Bell, as "the most personal of my career." To be released this summer on his own YousayFurtado Records, The Bell is an important release for several reasons: it represents a return to Tony's banjo-playing roots, with the banjo and cello-banjo more prominent than in recent years; the original songs concern such weighty themes as the loss of his father, the birth of his son and his own creative rebirth with the move to a new record label and management team; his working band is featured; and, most important of all, this is the first album in a long time on which Tony had complete artistic control. It's his music, done his way. 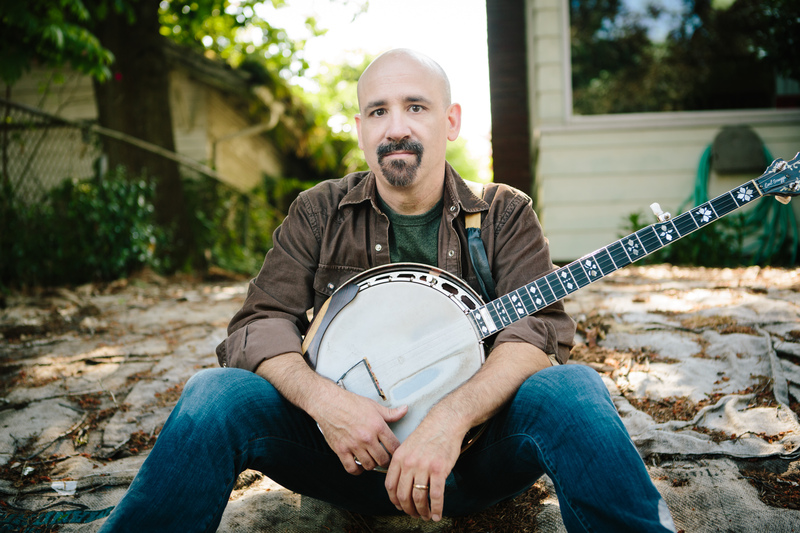 Furtado started playing the banjo at about 12 years of age; by the time he was 19, he had established himself as a gifted musician. As he solidified his chops and sound by playing constantly, he was also raking in top awards for his banjo playing. But Tony started to feel constrained by his instrument as his musical sensibilities broadened. He wanted to write songs that had lyrics and also wanted to try his hand at singing them, so he applied his considerable prowess to mastering the guitar and writing and singing his own material. His last studio effort, 2004's These Chains, was the product of an established artist's conscious expansion of his boundaries, and truly a joy to behold. His tours have included stints with the likes of Gregg Allman, Taj Mahal, Susan Tedeschi, Derek Trucks, Eric Johnson, String Cheese Incident and many others. Whether or not you've seen him live, you'll want to catch a performance as soon as you can. Furtado's passion is playing his music live and bringing it out there to the people. Accordingly, he's wooed music lovers and won fans all over kingdom come.